ca. 475 - 425 B.C. 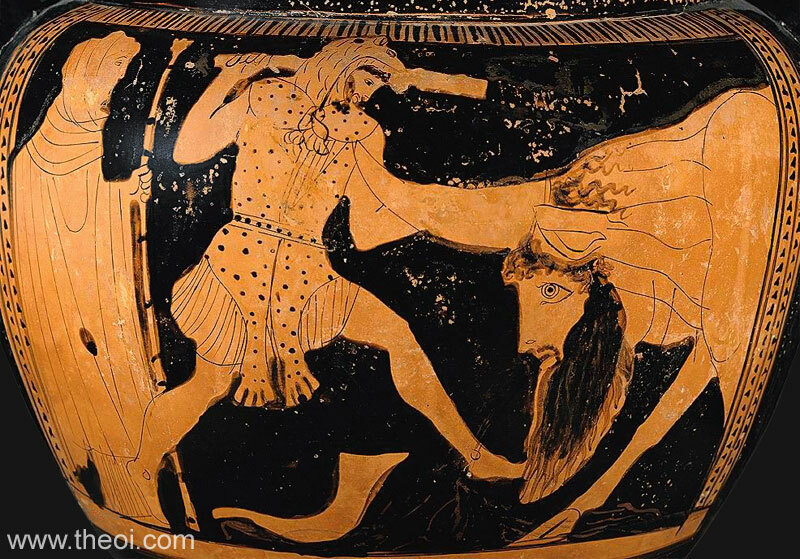 Heracles battles the Aetolian river-god Achelous for the hand of Deianira. The aquatic deity has the head of a man and the body and horns of a bull. The hero wears a lion-skin cape and brandishes a knotted club, and a torn-off bull horn lies at his feet. The princess Deianira stands behind him, cloaked in a veil and holding a royal sceptre.